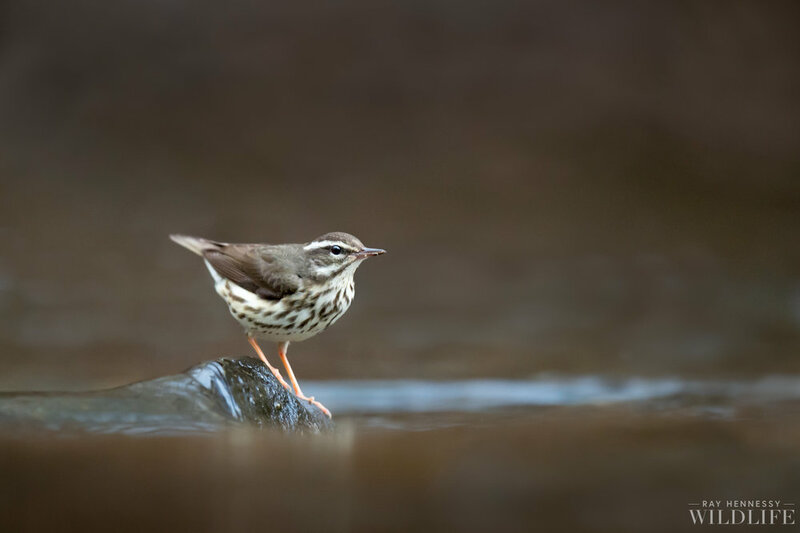 This Louisiana Waterthrush found the one of the smaller exposed rocks in the small stream to perch on. When it landed there I remember thinking I hope it stays just long enough for me to take a photo of it. Thankfully it obliged and I was able to shoot a few frames. I liked that the slower shutter speed allowed the water to become really soft as it washed over the rock and moved downstream. It was pretty early in the morning and well before any strong light was hitting the riverbed but the clean background and overhead light really helped to make the bird stand out. These warblers are by far my favorite habitat to photograph with songbirds. I really enjoy how they live and feed in the small streams and creaks in my area and it almost always makes for a very unique looking songbird photo. I'm looking forward to my upcoming workshop for these birds, please let me know if you would like to join!